We’ve shared a few installments of Sherlocko The Monk, a comic strip drawn by Gus Mager from 1910 to 1913 in the Hearst newspapers of the era. 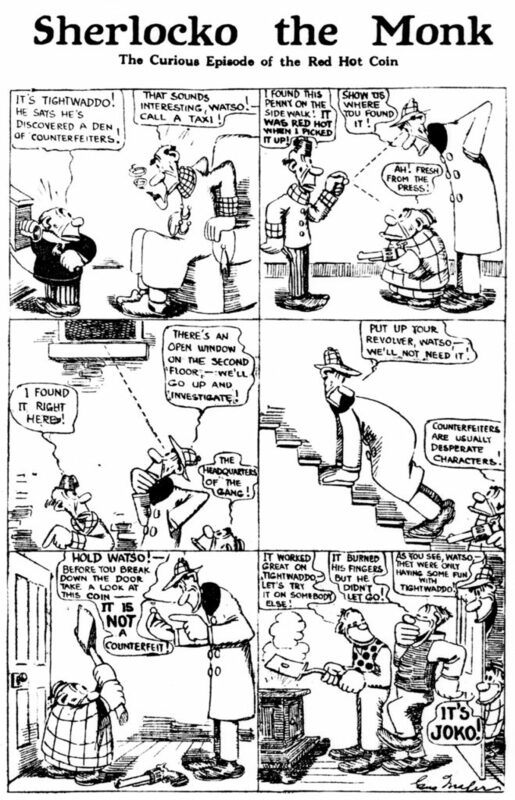 We are pleased to share another of these comic strips, The Curious Epiosde of the Red Hot Cent, that was published on May 2, 1911 in The Washington DC Evening Star. Enjoy!